This unassuming little flower just happened to be conveniently near here. 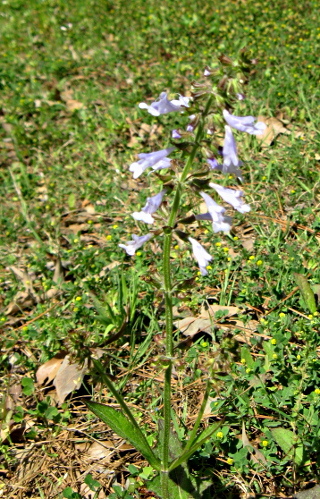 As far as I can tell, it’s a “Lyreleaf Sage” (Salvia lyrata). I plucked a flowering section and dropped it into a container of my special selective media a couple of days ago. It’s starting to get a little flocculant and there’s a faint “fermenting yeast” smell, so there’s something going on in there. 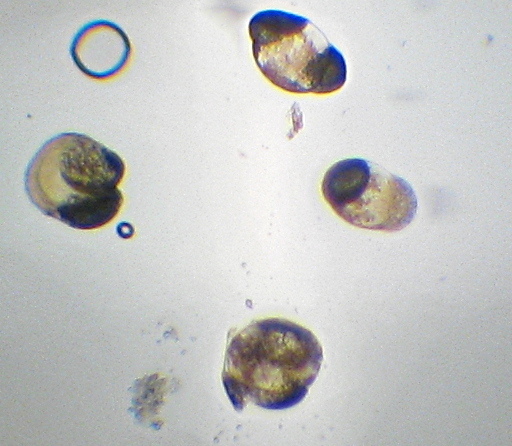 I didn’t see much yet last night when I took a closer look, but I did see these, which I assume to be pollen grains from my bioprospecting sample. Previous Previous post: Fred Transplant: Success! Next Next post: I think I shall call him “Nero”.